Tonight was a restless night on my Viking cruise, don’t ask me why, maybe it’s the thought of returning to normal life, we are so used to having everything done for us on the cruise and enjoying our travels and tours, how will we be able to cope in the real world? So, in the early hours, we left Germany and entered the final country of this adventure, the Kingdom of the Netherlands. Not as pretty as the sail through Germany, a little more industrial, a lot more boat traffic and very flat. But the sun was shining, the sky was blue, and there were some cute country scenes, with cows and sheep and the odd windmill-dotted here and there. As it was our last full day, there was a meeting in the morning for everyone about how to pay bills, check out, what to do with luggage etc. But I’m sure front desk was inundated with questions afterwards about how to pay bills, check out and what to do with luggage, and not just from Jon and me! Around lunchtime, just as we tucking into burgers, we arrived at the beautiful wetlands near Dordrecht to visit the windmills of Kinderdijk. 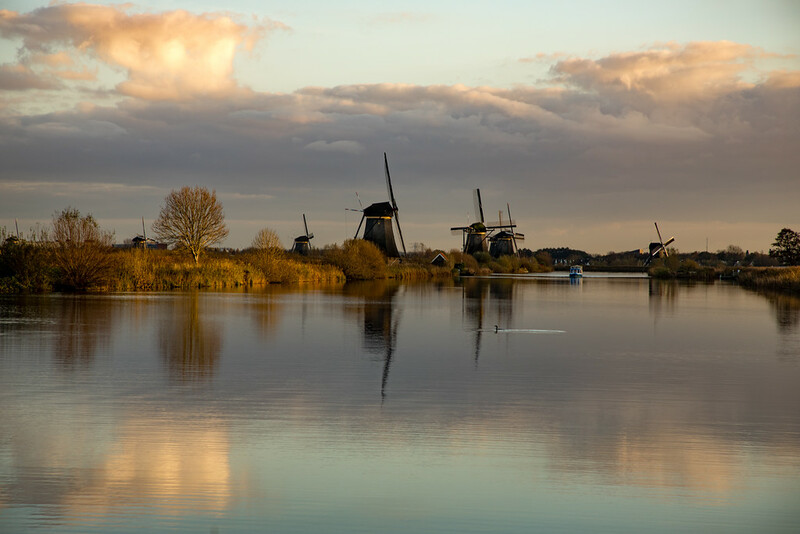 A UNESCO World Heritage Site since 1997, these mills that were built in 1740 symbolise the Dutch water management to prevent floods. They were created to keep the low lying lands of Alblasserwaard dry. 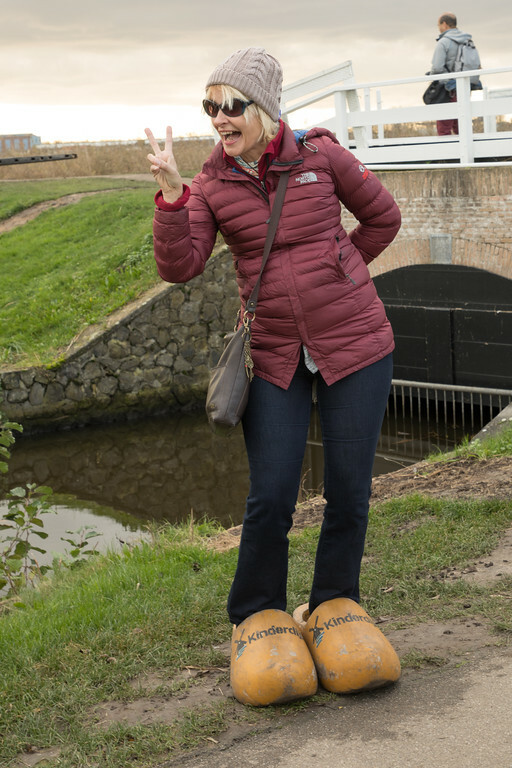 There was an included walking tour to visit the museum and learn about the windmills, but we sneaked off the boat and explored the area on our own. It’s a pleasant walk or would make an excellent bicycle ride, and you can even go inside one of the mills. We spotted a guy working at the mill wearing clogs; you can’t get more Dutch than that. So after a lovely afternoon just strolling among the mills, we headed back to the ship. The ship set sail for the last time, as we enjoyed a beautiful sunset with the now obligatory mulled wine in hand. That evening, we sipped our last cocktails in the bar before the farewell meal which in my opinion was the most delicious meal of the cruise. So thank you Viking Cruises for a fantastic trip. A cruise known affectionately as the ABC cruise. Why ABC? Another bloody church, another bloody cathedral, another bloody castle but for us, yes we are looking forward to doing another bloody cruise. Loved reading your cruise journal! Your tips and experiences are very helpful in trying to decide what excursions to book. We are taking the Grand European Tour in April 2019! Thanks Lisa! We had so much fun. 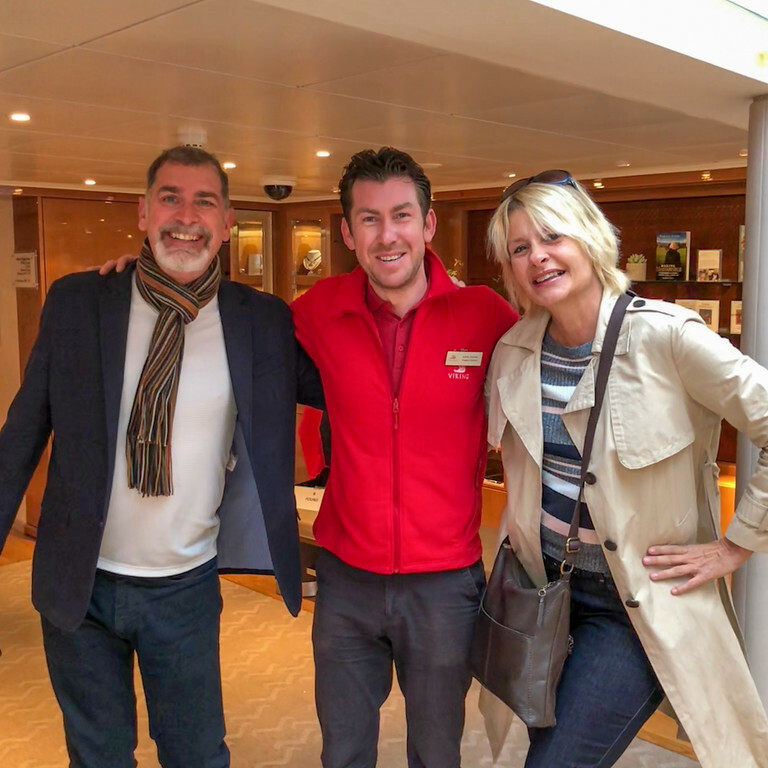 what a wonderful way to get inspired for our upcoming Grand European Cruise. 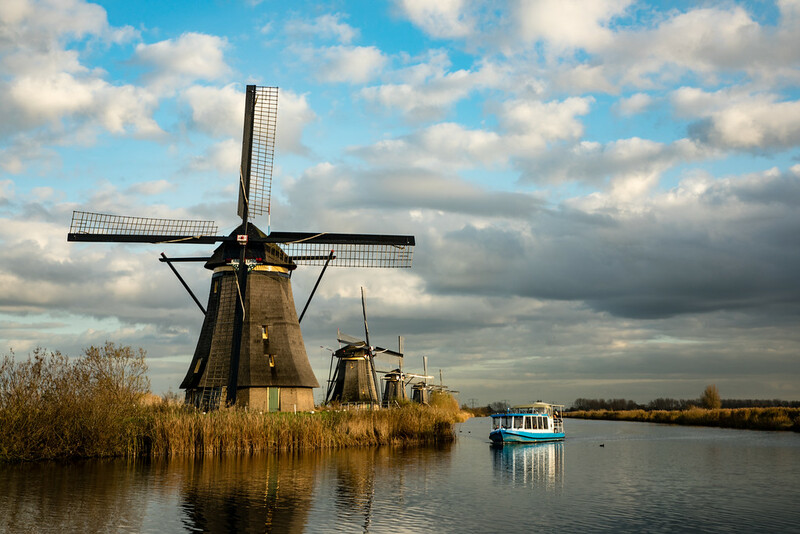 I am wondering if I will as adventuresome as you were taking off on our own, but as we have done the Amsterdam to Cologne on the Rhine getaway . we may just do a bit of exploring. SO much to think about. Thank you again I have thoroughly enjoyed every day of your journal.